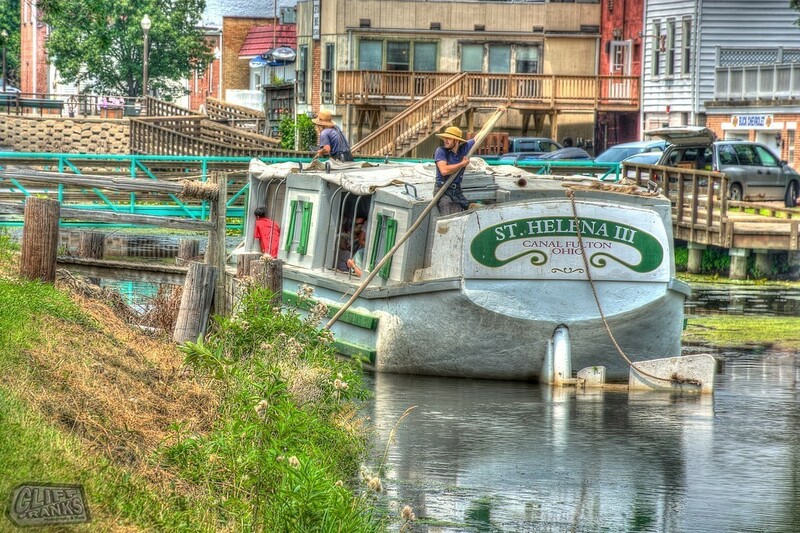 ﻿ St. Helena III Canal Boat - Ohio. Find It Here. 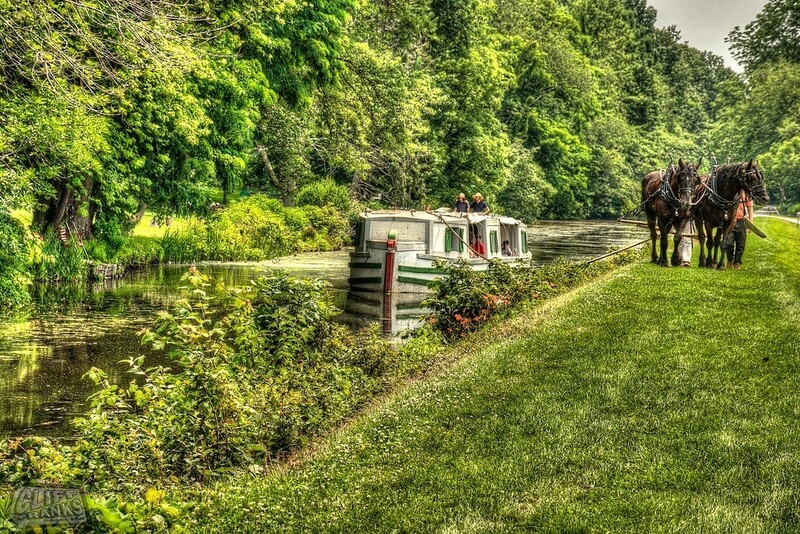 The St. Helena III canal boat provides passengers with a leisurely one-hour ride along an original section of the Ohio and Erie Canal. 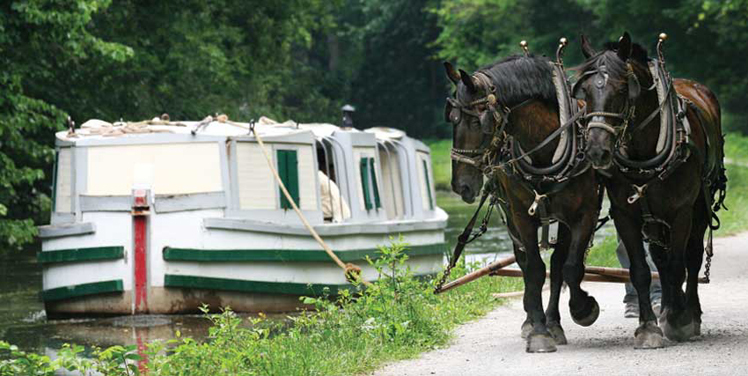 The scenic two-mile round trip is pulled by two draft horses traveling from the historic downtown area to Lock 4 Park and back. 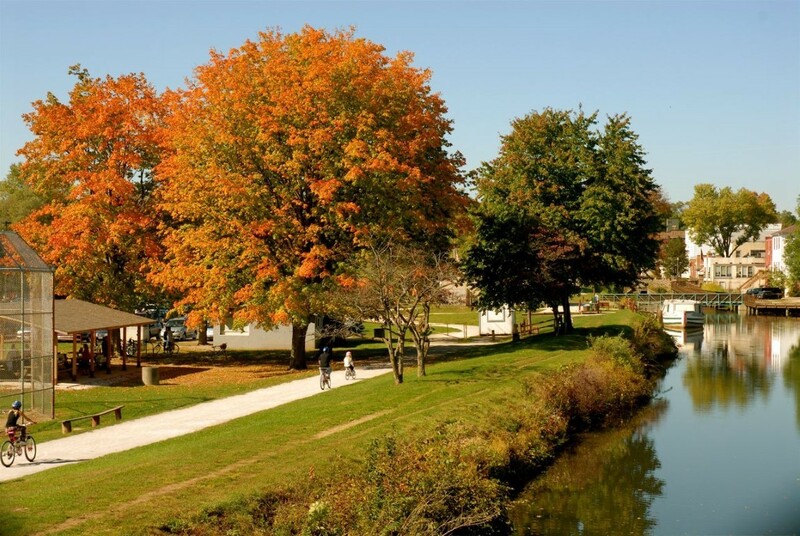 An on-board historian relates the history of the canal as well as the Canal Fulton area. Seasonal rides depart at 1:00 and 2:30 p.m. with a half hour educational movie shown before each ride time.